Bret Davis, secretary of American Soybean Association. The time that Delaware County grain farmer Bret Davis spends speaking on behalf of soybean growers is no doubt a benefit to his own operation. As one of two partners on a 3,500-acre farm, anything he can do to increase demand helps with his own business. 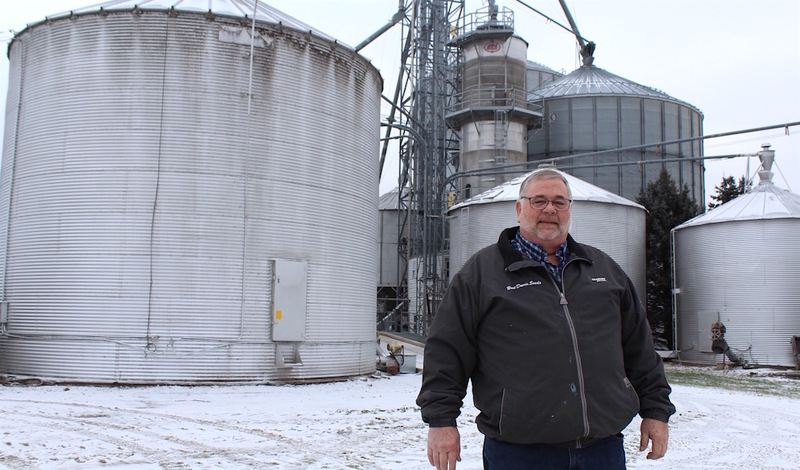 But for Davis, who has spent at least a dozen years on the Ohio and American soybean associations, the reward is what he is able to do for all producers, from one corner of the country to the other. In December, Davis was elected secretary of the American Soybean Association, where he helps with records and minutes, and reaching out to lawmakers and federal regulators. Davis farms with his stepson, Wade McAfee. The two manage a grain farm that is now in its sixth generation. Davis and his wife, Janie, have seven adult children between them, and nine grandchildren, with another on the way in March. Davis grew up farming with his father and uncle, and his family traces their roots in the area to the 1800s, when they emigrated from Wales. Family is important to him, and he wants to see the operation continue. In 2018, he led the farm bill task force for the American Soybean Association, where he helped to tell federal lawmakers about the importance of crop insurance and farm safety net programs. Judging by the most recent farm bill, signed by the president in December, Davis said it’s obvious that lawmakers listened and took farmers’ concerns seriously. He said crop farmers did not get everything they wanted, but thanks to their voice, farmers ended up with “a workable bill” that satisfies most of what they needed. Davis said the last five or so years have especially been good for the soybean association, and today when lawmakers have a question or want to know how farmers across the country feel, they call the association to ask. “To have that two-way conversation — it goes a long way,” he said. Ryan Findlay, CEO of ASA, said that Davis is a good listener who tries to look at both sides of an issue before making a decision. 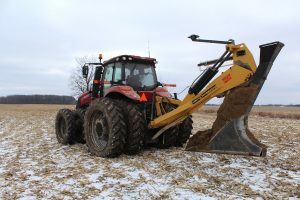 At his own farm, things are always changing, whether it’s a new farming practice, a new piece of equipment or something bigger. 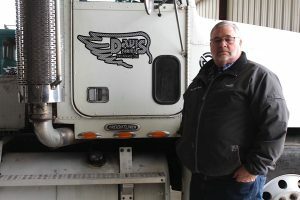 Davis just recently sold his seed business and home, known as Bret Davis Seeds, to a young couple in the area, who were looking for a new opportunity. Davis said it allows someone local to carry on the seed business, and he’s confident the buyers have the ambition to keep it going. With his own place sold, he’s in the process of building a new house, just a short distance down the road from the seed business. Davis Farms has seen many other changes over the years, and at one time included a beef and feeder cattle operation. However, when the meat packing industry moved out of the area, Davis said it no longer seemed economical to keep feeding beef. Today, the farm is exclusively a crop operation, and that alone has seen its share of changes. The farm went from tillage to mostly no-till, and continues to evolve with new conservation practices and precision planting, as well as precision nutrient application. “I say we’ve got a 3,500-acre test plot because we’re always testing something against the other,” he said. In the past, Davis would spread fertilizer in the winter, when conditions would allow. But with the changes in nutrient management and water quality, he now tries to target a growing crop, and he also plants about 2,000 acres of cover crops to improve organic matter and keep nutrients and soil in place. The changes aren’t always easy, he said, but in the long run, they make economic sense and they’re better for the environment. This past year, conditions were so wet that Davis and many area farmers had fertilizer applied by aircraft because fields were too wet for land equipment, and the crop was too tall. Davis has been a certified crop adviser since 1990, and is a regular at area nutrient meetings and training events. One of the biggest things farmers like Davis are trying to fix is nutrient runoff. While they may not be able to stop it completely, Davis said its a priority issue, whether the water is flowing north, into Lake Erie, or south, to the Ohio River. But he said change takes time, and it’s important to study the science behind what is happening, so the right changes get made. He complimented farmers who are taking part in edge-of-field studies, to determine how much nutrients are leaving fields, and the best solutions. An ongoing issue for Davis and the soybean association is developing more markets. Although the U.S. lost a lot of market share with the current trade war with China, Davis said he’s optimistic about some of the new agreements being made with countries like India, Singapore and South Africa. One positive thing about the dispute with China, he said, is that both countries now understand how reliant each is on the other, and he hopes there will be new opportunities with China going forward. In the meantime — regardless of where prices are at — Davis said farmers need to develop a solid marketing plan and think in advance. For his own farm, that means marketing as far as three years out, and maintaining good on-farm storage and delivery. “Everybody knows how to grow a crop, but it’s how to market a crop that makes the difference,” he said. Next articleCan New Year's resolutions actually work? Great article Chris! Bret, thank for everything you do for soybean farmers in Ohio and across America.